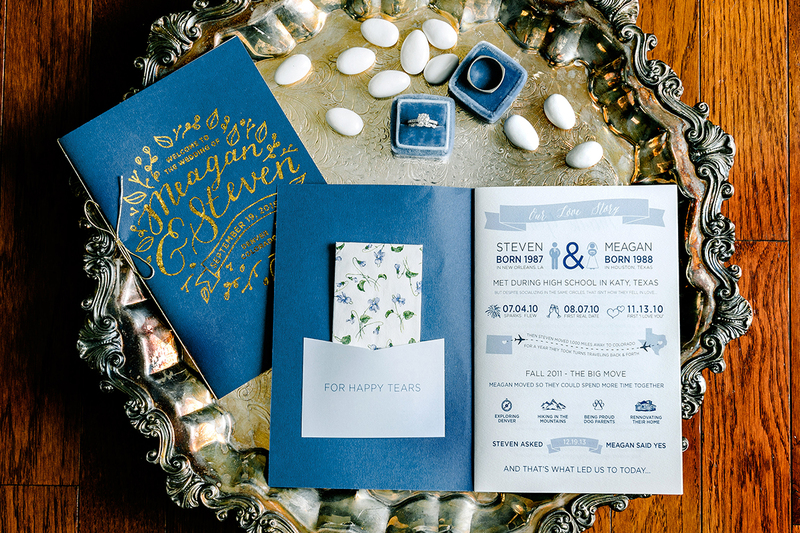 Think of your wedding program as your guests’ guide to your big day! 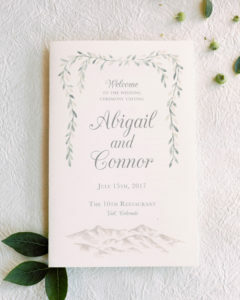 Although a traditional paper ceremony program is not essential, your wedding guests will certainly thank you for having one. They’ll feel included and enjoy your day even more! 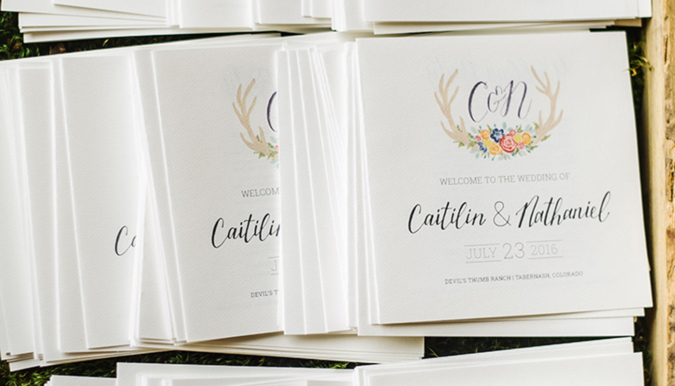 Regardless of ceremony type, your wedding program can be exactly what you want it to be. 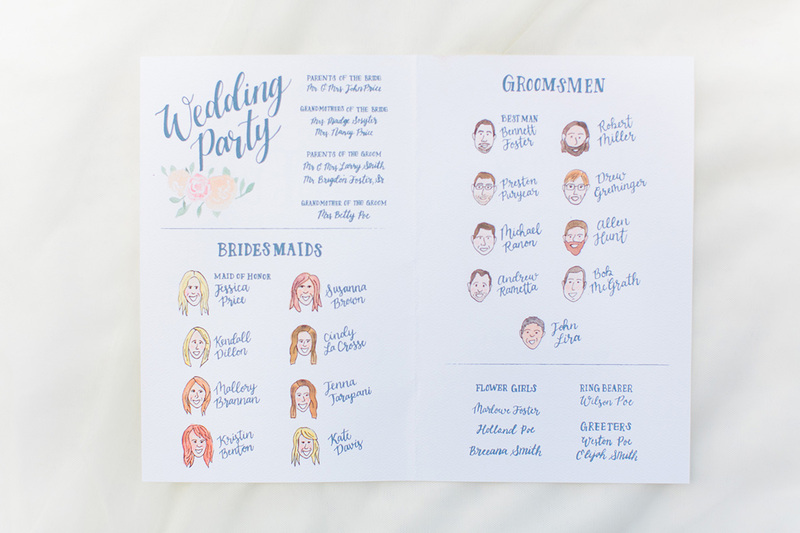 It can be a thick booklet with almost every word to be said at your ceremony, or a fan made of a single sheet of paper with only the most important details. Below you’ll find a quick run down of what your expected to include as well as some inspiration on how to make your programs more personal! Your names will serve as the title, whether on the front cover or inside as the first page. 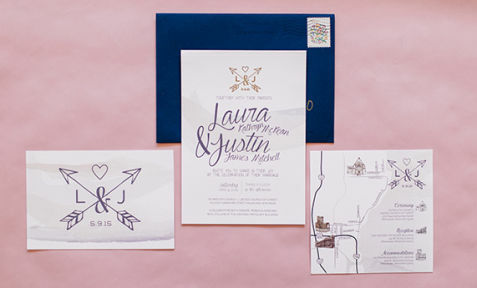 You can also include the date and location of the ceremony. 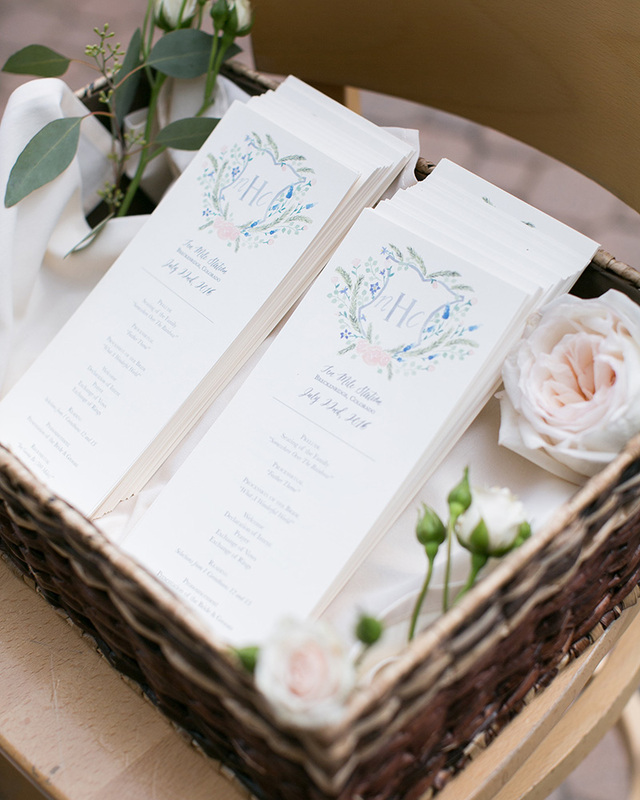 List the order of events at the wedding ceremony to help guests follow along. Include music, songs, poems and readings in the order in which they will occur. 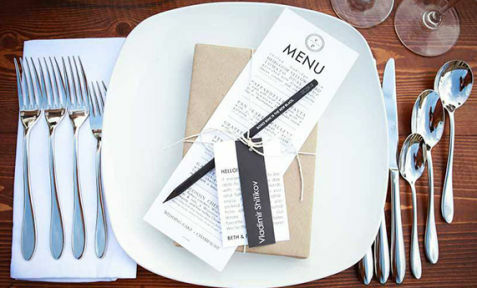 You can include the readings in their entirety so guests can savor every word. 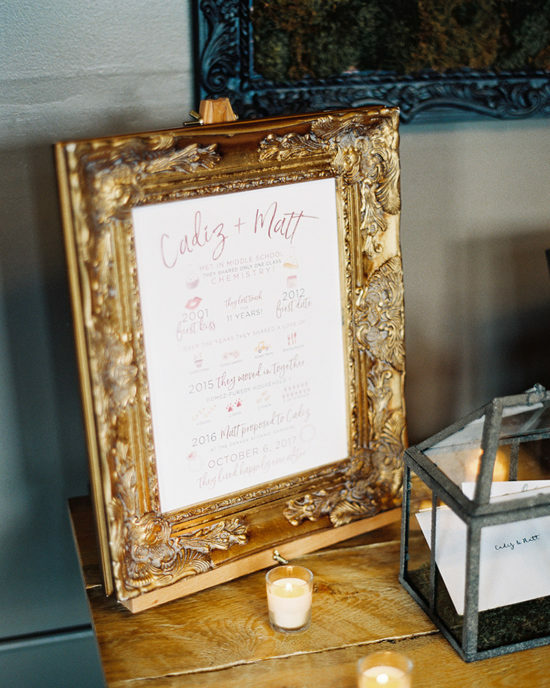 If you want, include words to songs so guests can join in. 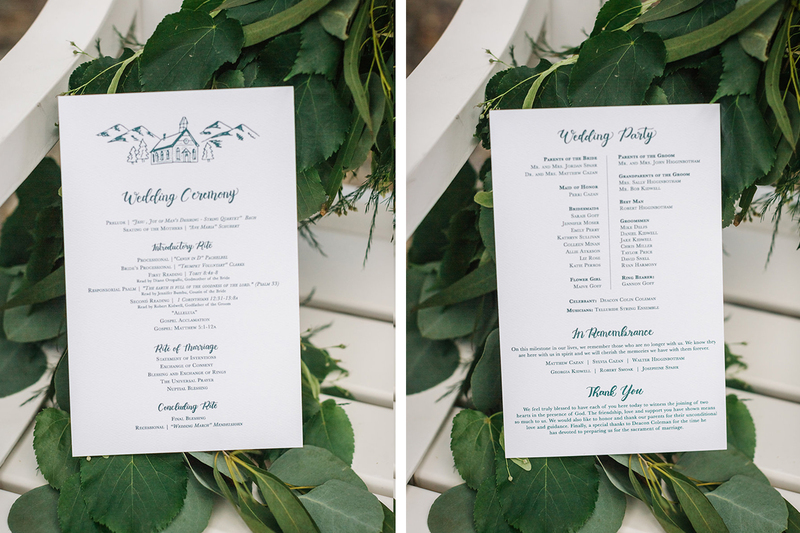 If you’ve written your own vows, it’s a nice idea to add them to the program so your spoken words can linger with your guests. 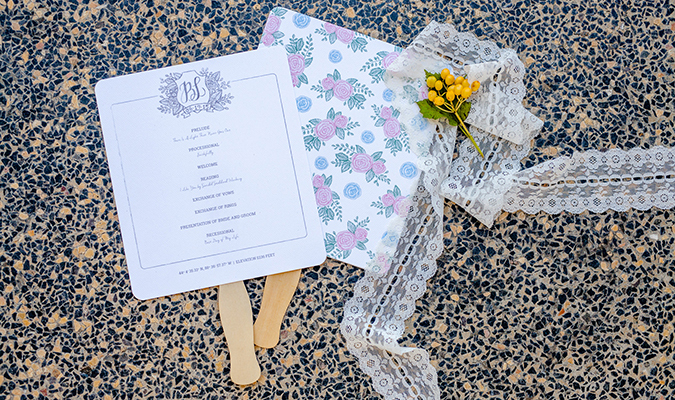 You can also include a brief explanation of any special religious rituals that will occur during the wedding ceremony. 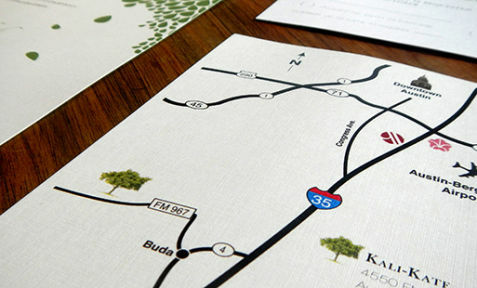 This may help guests unfamiliar with what’s going on feel more comfortable. 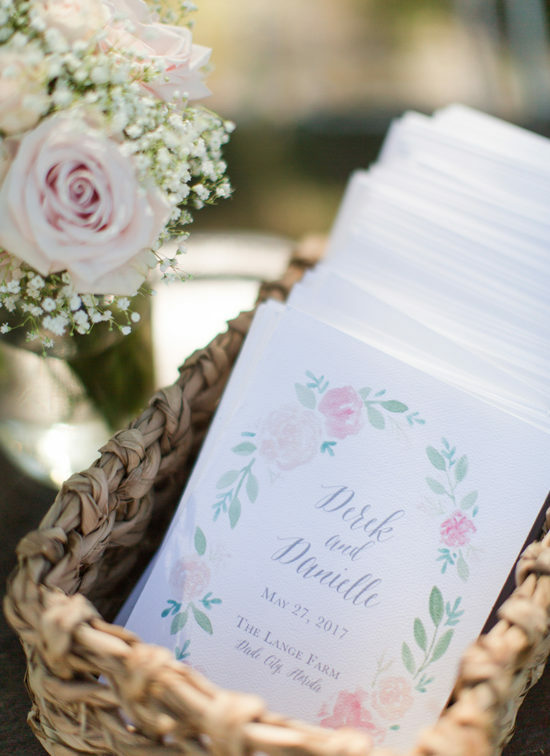 List the people who will make your wedding ceremony special — the officiant, your parents, the bridal party, musicians and others who have a significant role. 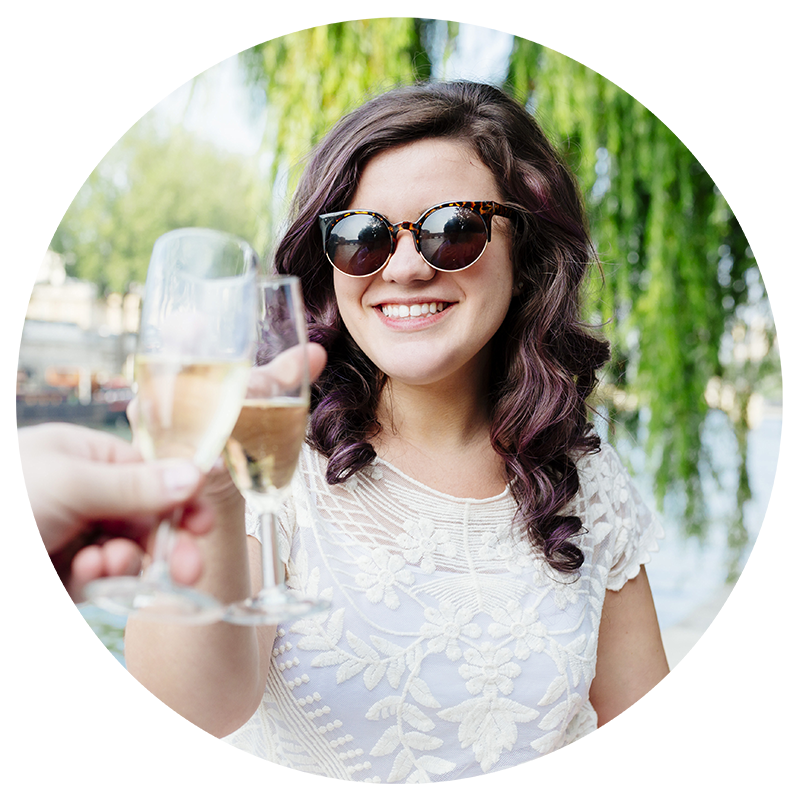 Not only will it make those people feel extra special, it also helps your guests identify the VIPs. 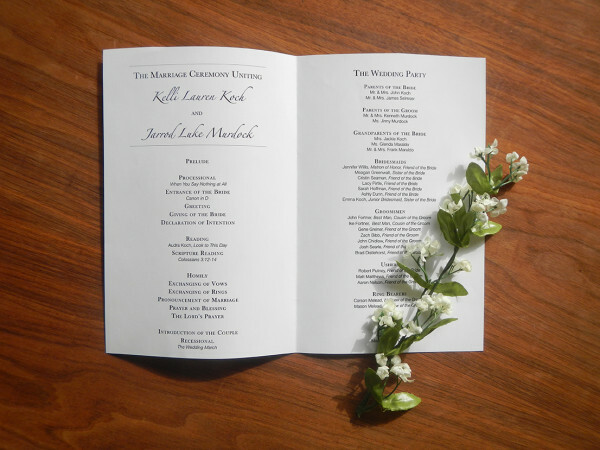 Some programs include a brief description of each person’s relationship to the bride and groom, for example, Tom Johnson, college roommate; Kate Adams, childhood friend of the bride. 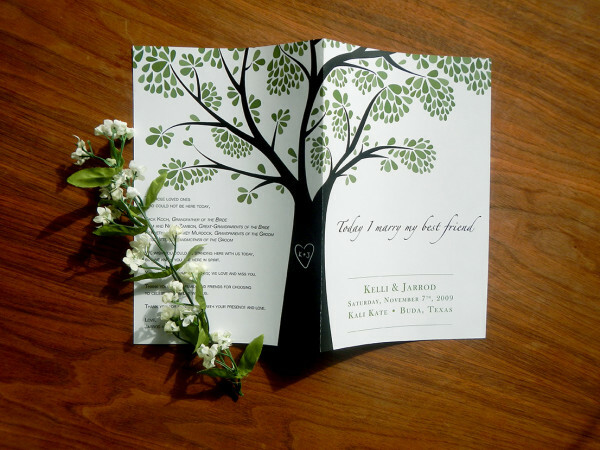 If someone important to you has passed away, you can pay homage to him or her in your wedding program. Mention grandparents or others who are not present. The final quote in the program can be a thank you to those who gave you support throughout your relationship or in your lives. Thank parents and the people who are attending your wedding. 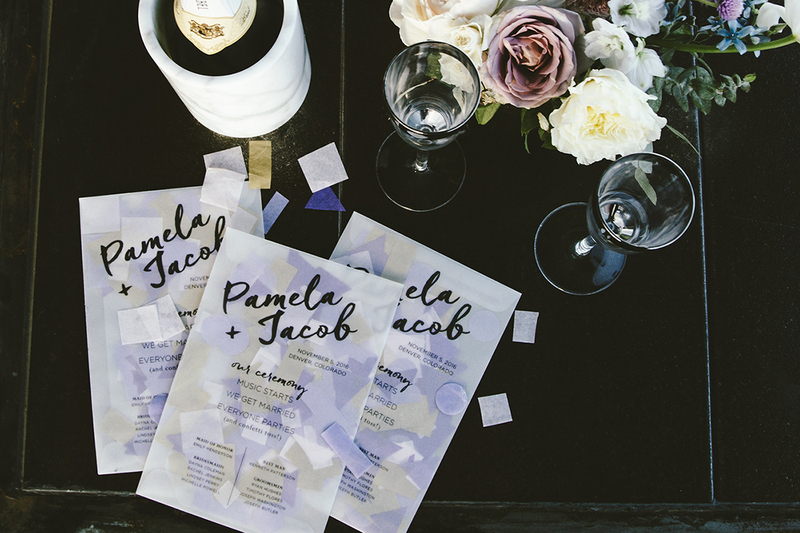 Ceremony Fans, Confetti Envelopes, & More!